Many issues are very important in our society today. But none of them can eclipse the centrality of human life, especially innocent human life in the womb or at the end of life. Above all and over all, the number one issue more fundamental and crucial than any other is abortion – that is the direct taking of innocent life, which is financed by government funds -- the diversion of our tax dollars to abortionists like Planned Parenthood as well as government insistence that we Catholics, like the Little Sisters of the Poor, violate our consciences to advance such programs. 2. Of the two candidates running for president, and of all of the candidates running for elective office, whether federal, state or local, which ones will continue to lead us in the current direction or which are more likely to restore justice in those areas that cry out for such a restoration? 3. Which ones are willing to lead us in a direction that is more pro life, more pro family and more pro truth? Which ones will recognize and respect the role of religion in the lives of citizens and the Church’s right to mediate the truths of the Gospel and the Church’s teaching as part of the public life of our country, in public ministries like health care, education and charitable works, without being forced to adopt and facilitate those cultural practices that are not consonant with Church teaching? 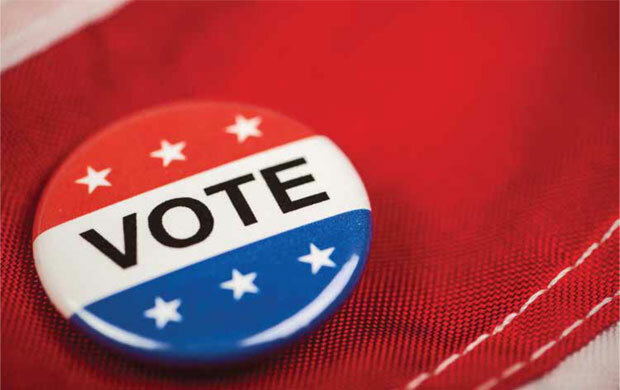 For further insight, I have written two columns on voting in The Long Island Catholic Magazine. 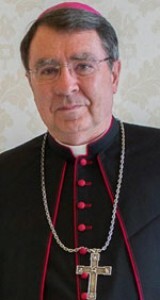 They are also available on the diocesan website, www.drvc.org. In addition, the U.S. Bishops have prepared a teaching document on the political responsibility of Catholics called “Forming Consciences for Faithful Citizenship”. It is also available online. I urge you to consider thoughtfully these resources along with this letter as you go through the process of deciding whom you will support with your vote. VATICAN CITY (CNS) -- As a military operation in northern Iraq fights to wrest control of areas held by retaliating Islamic State forces, Pope Francis criticized the "cruelty" and heinous violence waged against innocent civilians. He invited people to pray with him, asking that "Iraq, while gravely stricken, might be both strong and firm in the hope of moving toward a future of security, reconciliation and peace." Speaking to visitors in St. Peter's Square Oct. 23 for the Angelus prayer, the pope said, "In these dramatic hours, I am close to the entire population of Iraq, especially that of the city of Mosul. Our hearts are shocked by the heinous acts of violence that for too long have been perpetrated against innocent citizens, whether they be Muslims, whether they be Christians, or people belonging to other ethnic groups and religions." He said he was "saddened to hear news of the killing, in cold blood, of many sons and daughters of that beloved land, including many children; this cruelty makes us weep, leaving us without words." Each week we feature a photo from somewhere in the diocese. October 28th is the feast day of St. Jude, patron saint of impossible causes. 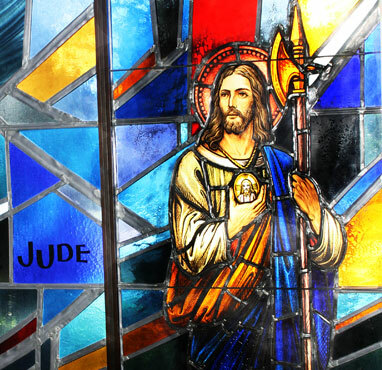 Do you know where this stained glass depiction of the saint can be found? 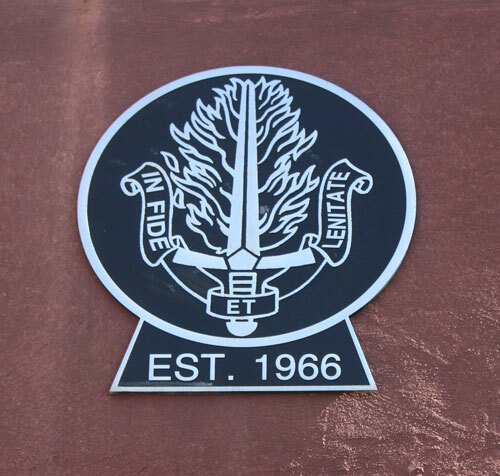 Many people correctly identified last week's photo as the crest over the front door of St. John the Baptist Diocesan High School in West Islip. The crest shows the school logo -- "In fide et lenitate" (In Faith and in Gentleness). St. John the Baptist is celebrating it golden jubilee in 2016 along with Holy Trinity Diocesan High School. Copyright © 2016 The Long Island Catholic, All rights reserved.